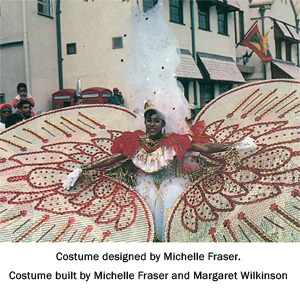 Ms. Margaret Wilkinson is a graduate of the University of the West Indies, Bachelor of Laws (Hons.) and the Hugh Wooding Law School in Trinidad. Ms. Wilkinson was called to the Bar in 1988. She is engaged in General Practice specializing in Corporate Law, Admiralty, Banking Law, Administration of Estates, Property Law, Real Estate, Intellectual Property, Conveyancing and Mortgages. Ms. Margaret Wilkinson is a Notary Public, an accredited director by the Institute of Chartered Secretaries and Administrators (ICSA) according to the policies of Chartered Secretaries Canada and a registered agent by the Grenada Authority for the Regulation of Financial Institutions (GARFIN) in the State of Grenada. Ms. Wilkinson has been a director and chairman of various private co-operations, public entities, charitable organisations, statutory and financial entities. She was the first Appeals Chairman of the National Insurance Scheme Board of Grenada. Ms. Shireen Wilkinson is a graduate of the University of the West Indies with a Bachelor of Laws (Hons. )(First Class), the Hugh Wooding Law School in Trinidad with a Legal Education Certificate and the University of Toronto (Canada) with a Masters of Law in Consumer Protection Law. Ms. Wilkinson was called to the Bars of both Barbados and Grenada in 2004. Ms. Wilkinson is engaged in General Practice specializing in Civil Litigation, Alternative Dispute Resolution, Property Law, Family Law, Public and Private International Law, Labour Law, Debt Collection and Consumer Protection Law. Ms. Wilkinson is also a certified and registered Court-appointed Mediator within the State of Grenada. Ms. Wilkinson is a Notary Public for the State of Grenada and she is the Honorary Consulate for Sweden at Grenada. Ms. Wilkinson has a background in Marketing and Advertising, having been a Director at a leading advertising agency in Barbados for 10 years. During her academic tenure at the University of the West Indies, Ms. Wilkinson was the recipient of the Carrington & Sealy Law Scholarship and the Barbados Bar Association Prize for the Best Results in the Third Year. In her private life, Ms. Shireen Wilkinson is presently a member of the Board of Directors of The Lupus Foundation of Grenada and a former Chairman of The Child Welfare Authority. Ms. Wilkinson is also an avid reader.